Now I want to go and dust off all my kit. 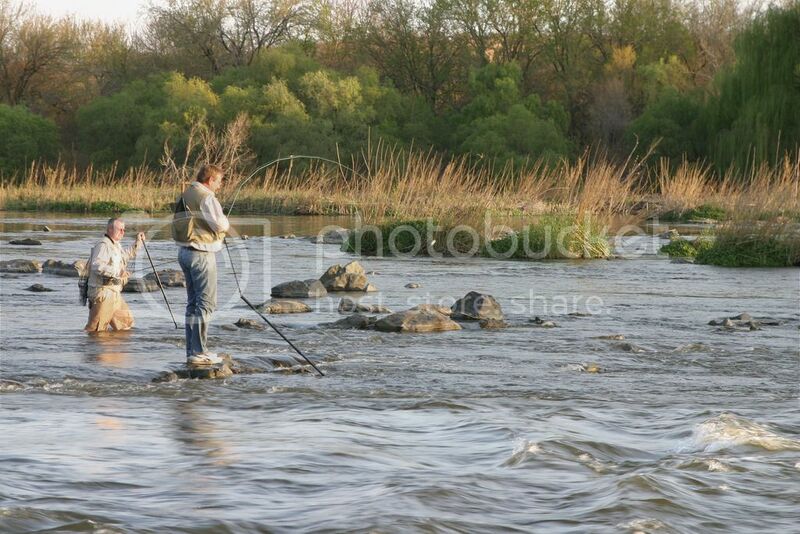 Used to do quite a bit of yellow fishing with wet fly's below the barge in the vaal. Nice find and fantastic strikes!! I wish my fly presentation was better than it is. Fish on at Elgro River Lodge, we were nymphing. This was my one and only yellow on fly, a nice little 1kg specimen. In the background is my mate who was teaching me to fish with fly. Great footage, damn I miss Flyfishing. One day again. Fishing below the barrage on Sunday for the first time since before my youngest was born. Been more than a year. Using the opportunity to introduce some friends to yellows as well. Really looking forward to it.